Our friday posts here at the comm guild are photos of a model in a colour scheme that we might not have shared before (or much at least), an interesting conversion or whatever takes our fancy! 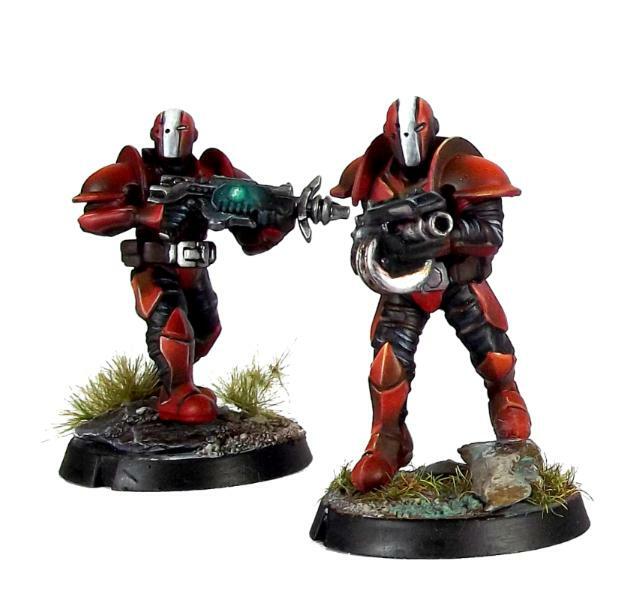 Today's inaugural post are these Karist troopers in a striking red and white colourscheme. These troopers were painted by lil'legend studios, and are a colour scheme of their own invention. Red works so well on Karists, but changing the cybel glow on the weapon to that greenish-blue colour really makes them pop nicely. We actually have a full force of Karists painted up in these colours and will be sharing more photos of them over the coming months.